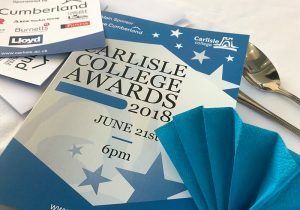 On Thursday 21st June, we were honoured to attend the Carlisle College Awards 2018. 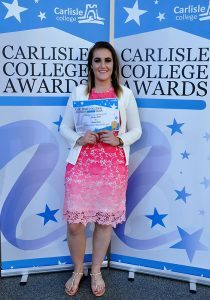 The event was held at the college and was celebration of hard work and achievements of all the further education learners. After a delicious meal, which was made by the talented catering students, the certificates were awarded by, Grant Glendinning, principal of Carlisle College. 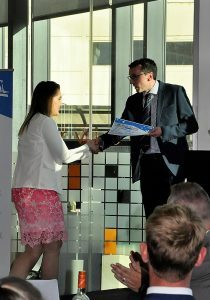 Once again, we were proud to be involved with the awards event and were a keen sponsor of the Maths Prize. Our managing director, Graham Jenkins, went along to the event to hand out the prize. Student, Megan Abba was the recipient of the prize as she had shown huge commitment to the subject, attending not only her timetabled lessons, but attending additional classes at night and in the holidays. We would like to congratulate Megan and wish her all the best for a bright future!